What a glorious autumn it has been in Melbourne. 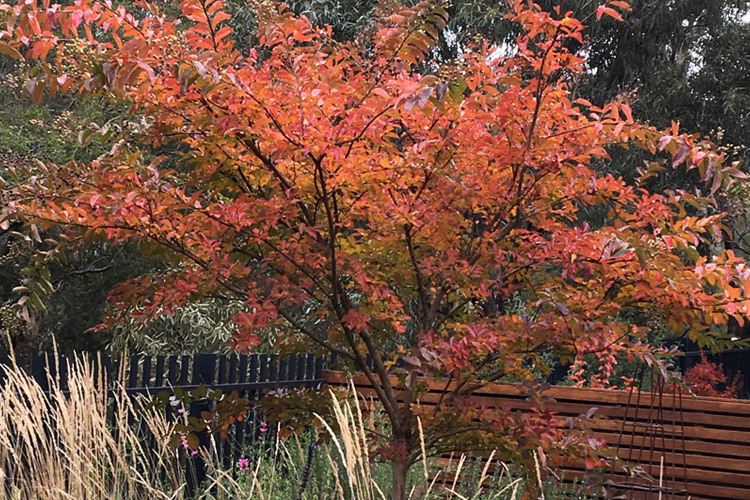 The trees have been magnificent, including my own two crepe myrtles. They are just three years old and this was the first year they displayed such magnificent foliage. It has all gone now and I am resigned to a few months of bare boughs, which have their own beauty. As I drive around suburban streets the vistas of golden and russet leaves are just so beautiful. And the autumn air seems soft and the evenings darken much earlier. I invested in remotely-controlled blinds and I have been so pleased with the new skyscapes I can see from my bed with just a flick of the remote. The sculptural trunks of the giant gums that dominate my near view can just be glimpsed, but the tracery of leaves against the early morning sky is a daily joy.